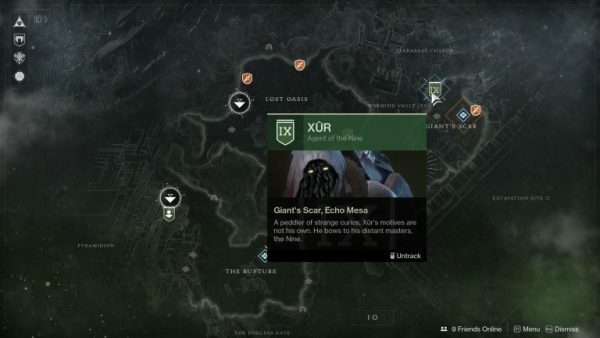 Xur’s exotic inventory is back for the next four days in Destiny 2, and you can find the fella on Io at Giant’s Scar, Echo Mesa. This week’s exotics include a Hand Cannon, a Warlock helmet, Hunter chest armor, and Titan Gauntlets. Be sure to grab what you want before the reset hits Tuesday, October 23. If you’ve been away for a bit, Festival of the Lost is going on right now. You’ll especially want to pick up the cat Ghost skin. It’s super cute. If you need information on farming Fragmented Souls for Festival masks and the Horror Story auto rifle, hit up that link. None of the items Xur is peddling this week are new, especially Crimson, but new players should give everything the once over. Warlocks who don’t have Crown of Tempests yet, might want to pick it up. It’s rather nice, plus it looks really cool. And yes, if you don’t have it already, buy the Exotic Hand Cannon Crimson from Xur this week. Crimson’s intrinsic perk is Banned Weapons, which is the source of its burst fire. Smallbore is another perk which gives the Legendary Barrel dual strength, with increased range and stability. Accurized Rounds used in the magazine ensure it can fire longer distances with increased range. 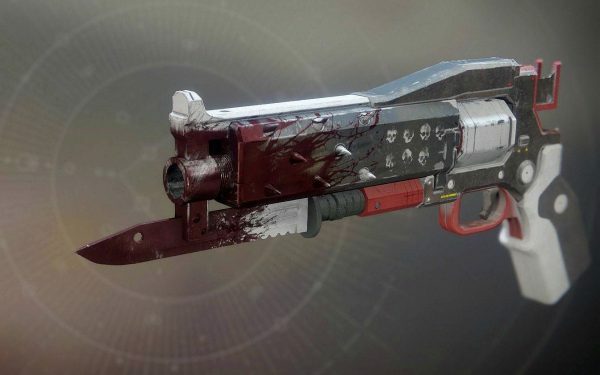 One of the best reasons to use the Crimson is the Exotic Trait Cruel Remedy, which fills the magazine after each precision kill – plus it restores health with any kill. Precision kills reload from your magazine, not just your reserve, which means you can chain together several kills and avoid reloading for a while – if you are pretty good at aiming. It gets even better when you apply ornaments, and go the Masterwork route.